Whey is a high quality protein powder that's rich in amino acids and Branched Chain Amino Acids (BCAAs). It comes from milk and is a by-product of the cheese making process. It has a naturally creamy texture and is the best tasting protein. Whey protein is fast digesting and easily absorbed by the gut. It's highly nutritious and, coupled with its concentrated amino acid profile, is one of the most beneficial dietary sources of protein for muscle growth and repair - especially for pre and post exercise. Our whey is the most popular supplement choice for athletes, fitness models, bodybuilders, and those wanting to lose weight or just add more protein to their diet. This product is whey protein concentrate from New Zealand. 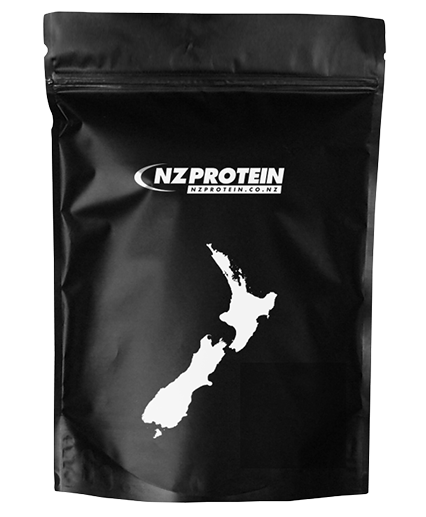 We believe that the best whey protein is made here in New Zealand (NZ). The quality of the milk that cows produce is related to the environment and their diet, and NZ has a temperate climate which allows natural grazing all year round. The dairy cows that produce the milk used to create this product are naturally grass fed and not factory farmed. Cows that consume a grass fed diet produce milk with significantly more omega-3 fatty acids than grain fed cows. In fact, natural pasture fed cows produce milk with nearly twice as much omega-3 than their counterpart, with a ratio of omega-3 vs omega-6 around 1:1. This may be another benefit as diets high in omega-3 are believed to support heart and immune system health. Grass fed cows have milk that's also richer in vitamin E and beta-carotene. New Zealand is the largest dairy exporter in the world and NZ has strict standards to protect the integrity of its dairy industry. The NZ government has rigorous testing and quality standards for milk production, and antibiotics and hormones are managed carefully against being in the milk that is used to create this product. 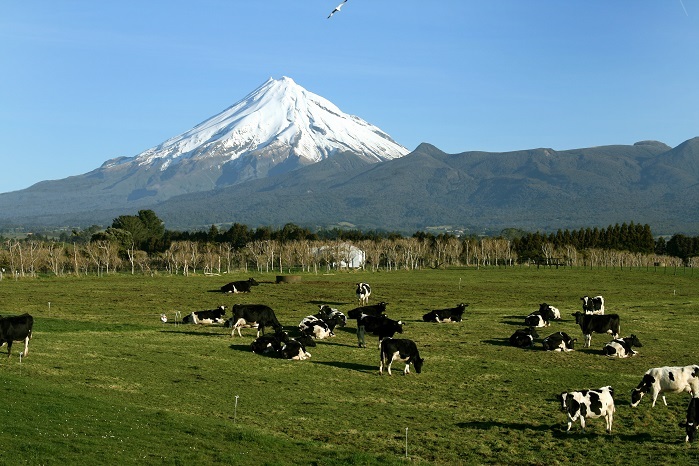 For these reasons New Zealand milk is often referred to as being the "cleanest in the world". Whey is a complete protein with a concentrated amino acid profile and high amounts of branched chain amino acids that the body cannot produce and must be supplied from the foods we consume. Amino acids are the building blocks of protein and muscle tissue, more commonly referred to as the 'building blocks of life'. Whey contains all 21 amino acids and also has higher levels of leucine than other protein powders. Leucine is one of the three branched chain amino acids and is primarily involved in muscle protein synthesis. Studies have shown it to be the most anabolic (growth promoting) amino acid for muscle growth and recovery. Leucine also contributes to the regular of blood sugar levels, growth hormone production and wound healing. Whey is composed of several bioactive fractions including glycomacropeptide, β-lactoglobulin, α-lactalbumin and lactoferrin. These have health benefits against cancer, infection and inflammation. Glutathione is a natural defensive antioxidant that the body produces from several other amino acids, especially cysteine. Whey protein is high in cysteine and studies have shown a relationship between whey and increased glutathione levels. Various studies have found relationships between reduction in blood pressure and the consumption of dairy products. The two most popular forms of whey protein are concentrate (WPC) and isolate (WPI). Made by ultra filtration at low temperature to preserve protein integrity. Ion exchange further removes fat and lactose. Lactose (naturally occurring milk sugars) and fat. Virtually lactose and fat free. Mixes slightly better than WPI. Not sure which flavour protein shake is for you? Try our WPI samples here. Each sachet is one serving. There are 32 servings in the 1kg pouch, with a cost per serve of just over $1. Larger economical pack sizes are available too. 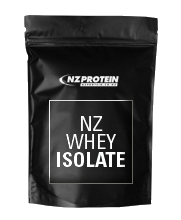 This product is NZ whey concentrate (WPC) and it is our most popular option, which is why it also comes in more flavours and sizes than WPI. Protein digestibility is a measure of the proportion of protein that is absorbed by the body. Whey protein scores 100% on this scale. Biological value is a measure of the proportion of absorbed protein that's retained for growth and maintenance. Whey scores 104 on this scale. The Protein Digestibility-Corrected Amino Acid Score (PDCAAS) is a rating that determines the bioavailibility of a protein. The maximum score is 1.0. Whey technically scores 1.0 because traditionally protein quality was measured against milk, which scored 1.0. Though the scale only goes up to 1.0, realistically whey may be up to 1.21, which is the highest of all protein sources. High protein diets can help people to lose weight and keep it off as consuming protein can help to preserve muscle mass, increase metabolism (by gaining muscle, in turn burning more calories), and help control blood sugar levels. Whey protein in particular has been shown to be effective for increasing muscle mass and reducing fat levels. Whey is generally well tolerated, but it is a milk product and contains lactose, so those with milk and/or lactose intolerances should avoid this product. Vegans should avoid this product. Whey protein concentrate is a powerful muscle building protein powder. It's absorbed rapidly and helps to replenish muscle and maximise recovery by delivering concentrated levels of amino acids to the body. It surpasses other proteins for bioavailability and is the best for those wanting to gain muscle or lose fat. Overall it's the best value too, so is our #1 recommended choice for most people (unless vegan or avoiding milk). *Cookies n Cream flavour contains wheat (gluten) ingredients. Some flavours contain ingredients that may have traces of soy. While every care is taken, this product is processed in a facility that also handles egg, nut and gluten ingredients. Rated 4.92/5 Based on 74 customer reviews. Probably my 7th or 8th order with NZ Protein. Amazing products and amazing taste! Fastest delivery. Love double chocolate flavour! I absolutely love this product. It’s very affordable and has really fast delivery. It mixes well and you never have to worry about chunks. I love supporting New Zealand companies and this one gives itself a really good reputation. I’ve tried the chocolate, gourmet vanilla, chocolate mint, cinnamon donut (more like a chai latte) and salted caramel. I’ve still got a few more to try (!!) but every time I’m extremely impressed with the flavour. Definitely a happy customer here. First time trying a protein powder so I tried all the sample flavours (apart from Jaffa, mixed berry and lime) and I have to say they all tast really nice with milk. My favourite was salted caramel and the chocolate. I had no issues with them not mixing properly. They all were better then I expected. Also the little shaker/mixer is awesome. Excellent product, super fast delivery. Received in less than 24 hours of placing order. Best protein I have ever tried! No typical protein taste at all. I have tried banana, rasberry white choc and gourmet vanilla so far and last one is my absolute favorite. I mix it with almond milk and banana and enjoy it every day! SUPER fast delivery as well! Always there next day! Has anyone else had a problem with the raspberry white/chocolate not mixing? NZPROTEIN UPDATE: not that we have heard from and seems ok this end?? Firstly, I’d love to thank NZProtein for the incredible service! I was sent the wrong order (sh*t happens) and Dan from NZProtein made the effort to drop it off the correct order to my house on the evening of delivery. Words can’t describe how much I appreciate this gesture. I will stand by this company for the longest time. Not only are their products incredible, but the service is bloody brilliant! Thank you so so so much! Amazing product! 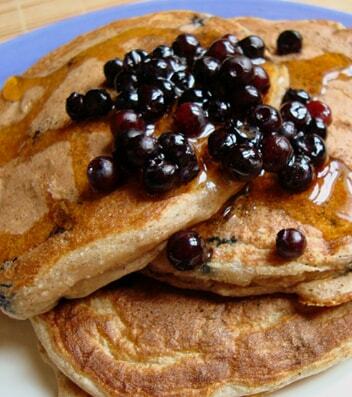 Super clean protein that tastes amazing and not fake. Shipping was super fast, arrived the day after I ordered it. First of all. What a great service. Delivered the very next day. I’m not really the kind of person to normally bother with placing my very own reviews. But this product and service has me wanting to vouch for this fabulous company. I purchased the Banana and the Unflavoured flavours. Normally other brands have me gagging and quickly throwing back the rest whilst holding my nose. But this protein is a pleasure to drink. Actually brings me back memories of drinking flavoured milk as a kid. Almost near the same experience! First off, am new to buying NZ Protein products - a friend referred me (have got the shaker, tried the mousse and their protein powder) and I have got to give credit where it is due. Ya'll have cracked the code! Never have I ever had such a great tasting protein powder! And at such an affordable price it really does make the difference. I've been telling anyone and everyone that would listen about NZ Protein - totally worth the try. Mixes well even in water and in blender helps my shakes go super creamy. Love how there’s unflavoured options and the huge variety in sizes! And shipping - wow so fast and great communication! Ive tried all the flavours and i must say the banana flavour is the best in my opinion. Tasted like banana milk i used to have as a kid. Delicious!! This is by far the best protein company I have purchased from. From the efficiency in order processing, to the fast delivery and the high-quality products, I am filled with nothing but compliments. The protein tastes and smells amazing you won't be able to tell it's actually a protein shake and not some fancy drink. Thumbs up to everyone at NZProtein for making affordable yet tasty protein available to us! I have purchased this product several times now and I love it. I love the new option if buy more then 1kg bags the second one is discounted so this time round I purchase mixed berries and love it. Fast service and the prices on the products make this so affordable. Thanks NZ Protein I look forward to trying more of the flavors soon. I have been buying this protein powder for over a year and have not looked back. My favorite flavour was Double Chocolate but it is now Salted Caramel. It mixes easily, isn't too sweet and tastes great. I use it for breakfast in a smoothie with raw bitter greens, porridge, powdered collagen and liquid minerals. Yes it is an acquired taste but this powder makes everything taste yummy and I feel energized and balanced for hours after. My hubby and little daughter like to mix theirs with ice cream and love it too. Plus they ship fast and it's great value for money. I also have got my parents onto it too and they love it as well. The best bang for your buck you will not find a better quality protein then this. Mixes well and tastes great. I have brought this product several times and will continue to do so. Highly recommend. Third time ordering from you guys in the last 3 months! Best protein, BCAA's and flavours. Chocolate and Salted Caramel are delicious without being too sweet and have no 'protein-y' flavour, No Stomach upset or bloating either which I have in 95% of other commercially produced proteins. Delivery is so fast (24 hour turnaround in AKL) and shaker I have purchased also high quality. Will continue to recommend, thanks again!! Great tasting protein and amazing service. I often receive my products within the same day! Love all of the different flavours of the whey protein. Highly recommended! I'm really impressed with the taste of the double chocolate which actually tastes like chocolate, unlike some other protein powders. It mixes easily and I've been stirring mine into boiling water to make hot chocolate which tastes great without adding anything else. I will be repurchasing this in a bigger container. Thanks for the great quality product and excellent service. Love the Unflavoured version. Add it to every coffee I have during the day. It truely is tasteless and best way to get protein. Well done! Ordering the larger tub this time round. I bought this protein after reading reviews as I had been getting stomach pain and bloating across multiple different protein brands/flavours. Must say I am very impressed! Great taste - sweet but not too sweet and no stomach pain or bloating. Best of all, I only used 1 scoop (1 serving = 2 scoops) and this protein kept me fuller far longer than full servings from other brands. Love supporting good NZ brands so will be coming back to try the BCAA's when my BPI runs out. Thanks! Absolutely love this protein powder! I use the gourmet vanilla for my breakfast smoothies and the salted caramel to make yummy milkshakes! The best taste and texture of any powders I've tried. Great price, excellent product, supporting homegrown.... winning!!! Clean, nutritious, fresh and seriously tasty whey protein concentrate. No aspartame or acesulfame potassium too. 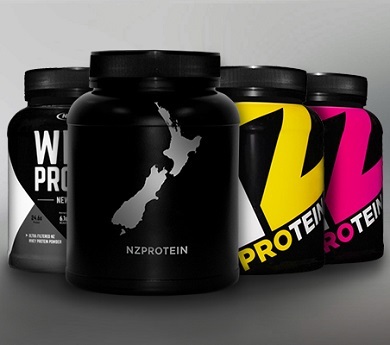 My only choice for a protein and supplement supplier.... NZProtein! I love this protein powder, best I've ever had, great flavours, reasonable price and made in New Zealand. I also love that you can buy samples to try before you buy bulk. Been struggling to find a choc powder that wasn't super artificially tasting and would also work well with my protein baking. This does both! Amazing choc flavour as a shake, and really adds to my baking! BEST BLOODY PROTEIN EVER!!! Have tried so many and this by far is the BEST. Has aided so much with my weight loss journey and also so affordable. It tastes so good it's almost like it should be bad for you but it Amazing!!!!! Stretched my taste buds and bought mixed berry ..yum! Got chocolate as well to be safe. Quick delivery, mixes easy. Best protein powder I've had.. blends so easy and no lumpy bits which a lot of other protein powders I've tried have! Super tasty too, have tried vanilla, double chocolate and orange choc chip... all delicious! This product is amazing! Mixed Berry is now my new favourite, but then so is Salted Caramel and Vanilla. Mixes so easily and is still tasty with just water. Affordable price and very quick delivery. Won't buy this from anywhere else now! Love this product! Flavours are amazing (especially the banana and the salted caramel!) mixes well and it such good value for money. Also love how it's all NZ! My go to brand. Fast delivery. The powder mixes well and taste good. Tastes amazing (salted caramel) and doesn't have that yucky 'protein powder' taste that I've experienced with other brands. Shipping was overnight...awesome! I am trying to gain weight & this protein is amazing in that it doesn't fill me up so I can still eat meals afterwards. This has got to be the best tasting NZ Whey protein out! And better than a heap of overseas proteins! Absolutely love the Chocolate flavour. Tastes great, its clean and it's all NZ. I've been a regular customer of NzProtein for over a year, and I've been recommending this brand to all of my friends who have all loved it! Cannot rave about this product enough! Amongst all the protein I've tested NzProtein definitely is at the top for the taste (and the ingredients!). Chocolate, Salted Caramel, Vanilla or Mixed Berries, you can't go wrong with any of those!! This is my protein of choice. Its cheap & the product is very clean & contains minimal ingrediants & no fillers unlike a lot of other protein powders. This website doesnt make any false or unrealistic claims which I appreciate. Excellent product. Great delivery service and personal communication to ensure delivery. Quite apart from after- gym work it makes a great drink (double choco). Have only tried your sample pkts, will be buying the bigger bags from now on. loved the taste of the lime and the mixed berry. great price too! keep up the good work. Absolutely wonderful! My previous brand made me gag, and called for an instant chaser of water or plain milk to remove the taste. This protein powder tastes delicious, fulfilling and I would highly recommend! WOW that's what I call yum. Lemon and lime flavour is so good. I have tried many different brands of protein powder but this has to be one of the best. I've been using the dark choc whey protein and I must say it's the best product available in the NZ market. Love it. Lemon lime tasted delicious. I tried protein powders from manufacturers in sweden, netherlands and finland and theyve all een super sweet, this one is not. Just about the perfect balance! The dark choc flavor is good with water, and very tasty with milk. Really recommend these guys, I like the packaging which reduces plastic waste. Excellent service, and next day delivery to Auckland. I ordered the Gourmet Vanilla flavoured whey protein, and am really satisfied with this product. I will definitely be buying it again. The flavour was delicious, and the texture in smoothies was creamy and easily mixed. As someone trying to put on some lean muscle mass, this product has helped me to well on the way to achieving my goals. Also, the staff are super friendly and quick to respond to any queries. Cheers guys, keep it up! 2) The flavours are great, I've tried the vanilla and banana, and keen to try the rest. 3) The service. Friendly, fast customer service really makes the difference. NZ Protein goes above and beyond the rest. Very fast delivery and a great price. It mixes very well and the cookies and cream tastes delicious. I have been having Optimum Nutrition and just recently found out about your site through a friend, I like how its clean and theres more protein, Great service too. I ordered at midnight and had it at my door the next morning. This is my second time buying supplements from here, it mixes really well and is the best price. Fast delivery both times too. Have had the berry and chocolate flavours so far, definitely recommended! Ordered on Sunday night and had it the next morning. Great quality, and really liked the funnel. Will be back. Stumbled across this protein and tried the chocolate. Have had lots of protein before and this one mixes better and is the cheapest I've found. Really good customer service too, I emailed a question and they phoned me back really quickly. 5 stars from me. The berry flavour is amazing! The texture of these whey powders is also much nicer than other whey powders I have used in the past. Great quality product! Fast delivery and really good product, cheapest I've found. Will be back for more!! Mixed berry- my new favourite. This flavour is amazing! Ingredients: New Zealand Whey Protein Concentrate (contains Sunflower Lecithin E322), Flavours, Sweetener (Sucralose E955). Ingredients: New Zealand Whey Protein Concentrate (contains Sunflower Lecithin E322), Cocoa Powder (contains Soy Lecithin E322), Flavours, Sweetener (Sucralose E955). Allergen warning: Contains milk and soy (cocoa) ingredients. Ingredients: New Zealand Whey Protein Concentrate (contains Sunflower Lecithin E322), Flavours, Natural Colour (Beta-carotene E160a), Sweetener (Sucralose E955). Ingredients: New Zealand Whey Protein Concentrate (contains Sunflower Lecithin E322), Natural Colour (Red Beet E162), Flavours, Sweetener (Sucralose E955). Ingredients: New Zealand Whey Protein Concentrate (contains Sunflower Lecithin E322), Flavour, Salt, Cocoa Powder, Sweetener (Sucralose E955). Ingredients: New Zealand Whey Protein Concentrate (contains Sunflower Lecithin E322). Allergen warning: Contains milk and wheat ingredients. Ingredients: New Zealand Whey Protein Concentrate (contains Sunflower Lecithin E322), Cocoa Powder (contains Soy Lecithin), Flavours, Sweetener (Sucralose E955). Allergen warning: Contains milk ans soy (cocoa) ingredients. Allergen warning: Contains milk, soy (cocoa) ingredients.